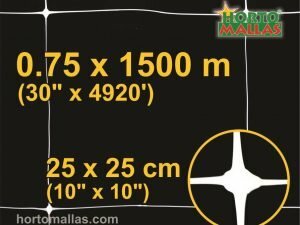 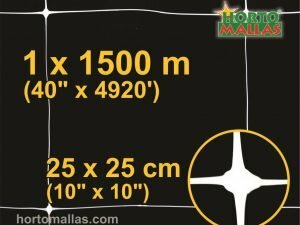 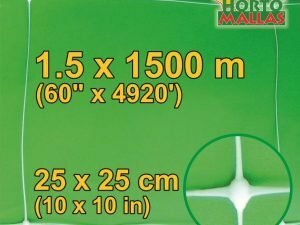 Con la malla espaldera se reduce de forma significativa la mano de obra y la transmisión de enfermedades por contacto. 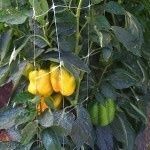 The pepper plant, like most solonaceae, needs some kind of plant training and support to keep the branches from falling onto the ground weighed by the fruits, that is where HORTOMALLAS pepper net comes in handy for the professional grower. 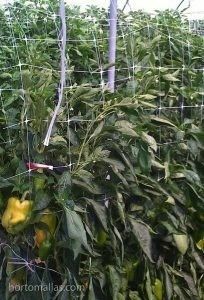 Mechanical stress affects pepper plants every time field workers have to touch it and guide their branches using raffia twine: on the contrary growing peppers using HORTOMALLAS as a plant support, besides the savings in labor, will improve the phytosanitary conditions of the plant as the leaves will be working at full solar efficiency while receiving the complete benefits of the increased aeration. 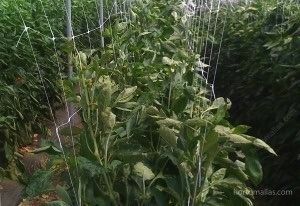 During tyeing, pruning and harvesting the workers´ hands will come in contact with the leaves, at this stage the hands become a vector of mechanical transmission of pathogens, so reducing this contact by using a double walled or V netting system will improve the plant´s health. 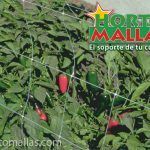 By allowing the pepper plant to grow freely among two walls of HORTOMALLAS pepper trellis netting, one takes advantage of the plant natural tendency to lay out its foliage system in the most efficient manner to take maximum advantage of the solar rays. 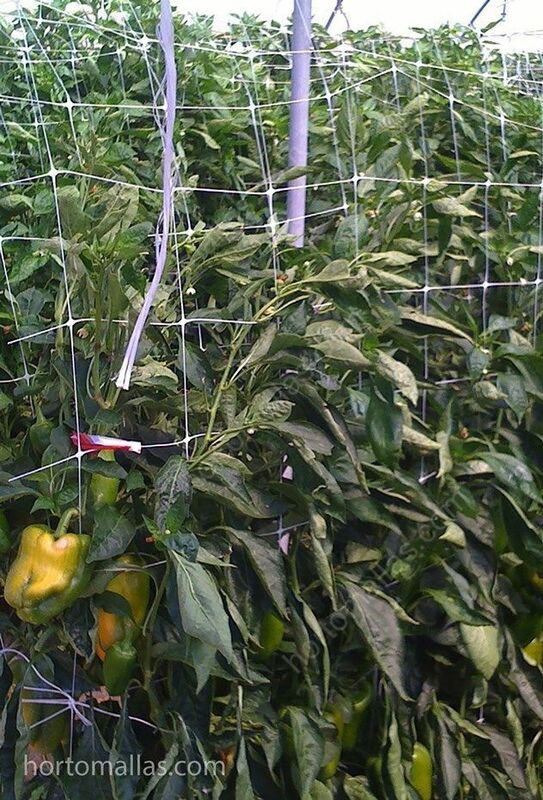 While the undisturbed plants works its nutrients to the flowers and fruits and fills them fast and profitably, a plant that is continually touched and stressed mechanically will reduce its efficiency and produce between 8 to 10% less than a plan t that is left alone. 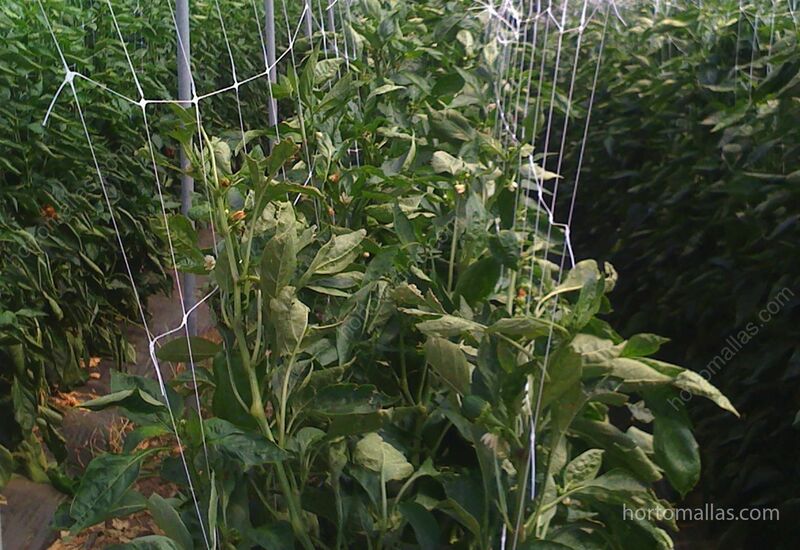 Therefore we must infer that every time a plant it moved by the workers and trained with raffia twine it looses efficiency and being stressed is exposed to a great spectrum of diseases that will take advantage of a weaker immune system or an abrasion and cut as an entry point for phytopathogens. 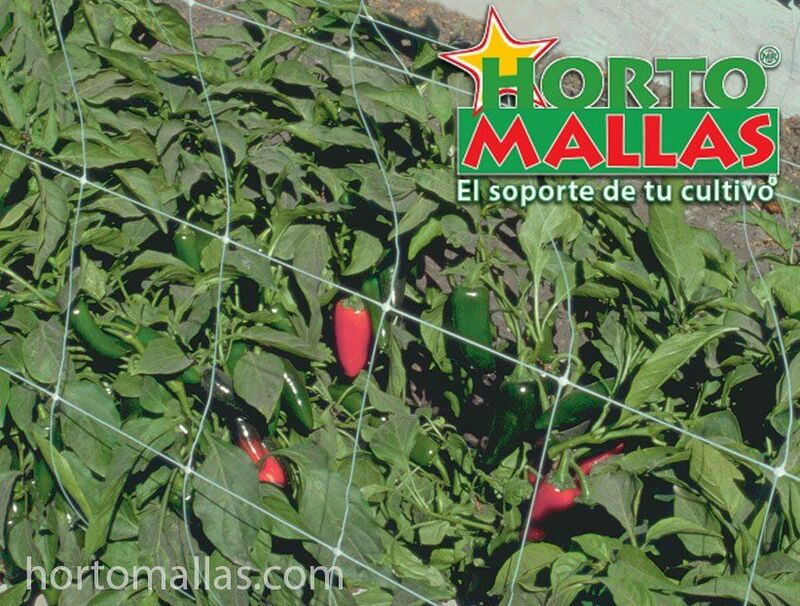 Understanding this simple process one realizes that in order to produce organically the plant must be left alone as much as possible and trained using HORTOMALLAS pepper net.